If you sit down and do the math, it isn’t those big one-time purchases that hit you hard when the credit card bill arrives. No, it’s the sneaky small purchases you keep making without a second thought that add up to astronomical numbers. 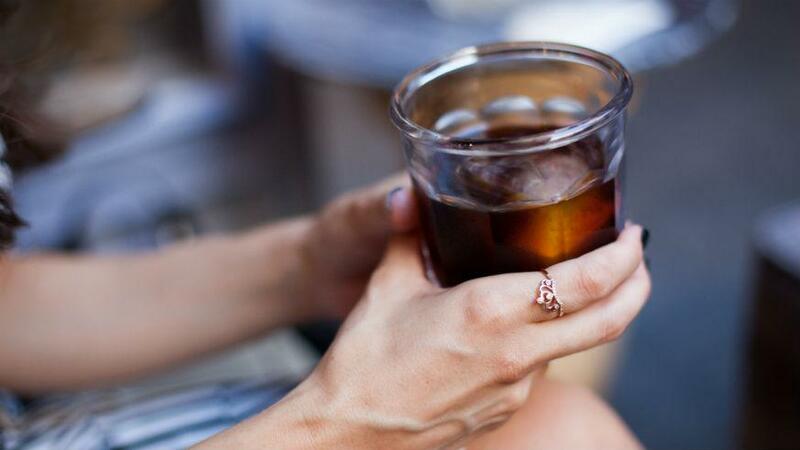 Like, for example, your cold brew habit — we know you’re probably not making it yourself at home. If you’re dead set on dropping some dough on cold brew instead of going DIY, the newest 7-Eleven coffee is here to save your summer — and maybe some cents along the way. 2018 truly is a magical time, at least for coffee lovers. The Starbucks Happy Hour went year-round and now, get this, you can pick up a self-chilling can of cold brew in place of your typical 7-Eleven coffee. No more rooting around in the chillers trying to find a can in back that’s actually been sitting long enough to cool off. This much-anticipated tech also means you can keep a can just about anywhere — in your car, at your desk, in your bag — because it doesn’t have to be refrigerated. Fizzics is the very first product to be offering in self-chilling cans; the technology took 25 years to develop. It seems like they took all that time to perfect the product, because activating your brew to make it chill is beyond simple. All you have to do is twist the bottom of the can. You’ll hear a hissing noise to know that your coffee is chilling out while the can goes to work using CO2 to cool your brew off in 90 seconds flat. Then just crack the can open and enjoy. Even though the self-chilling cans are a huge selling point, you can’t discount what’s inside the cans. 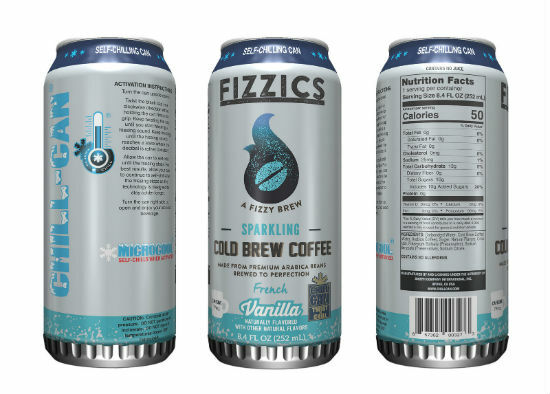 The carbonation makes the cold brew even more refreshing for those humid summer months, and Fizzics is currently offered in three flavors: Regular, French vanilla and caramel. The flavored varieties only pack 50 calories a can, another bonus for beach season. Where can I get Fizzics, the new 7-Eleven coffee? That’s the only catch. For now, the cans are rolling out exclusively to 15 different 7-Eleven locations in the L.A. area. If the coffee cultivates a following — and how could it not — chances are good the company will start rolling out this new 7-Eleven coffee at other locations across the country. We’ll keep you updated with any news we hear about the potential for a national rollout, so keep your fingers crossed for coffee shop style cold brew in the coolest cans ever created.